Frank Funaro, Scott Kempner and Eric Ambel and Steve Almaas are the Del Lords. 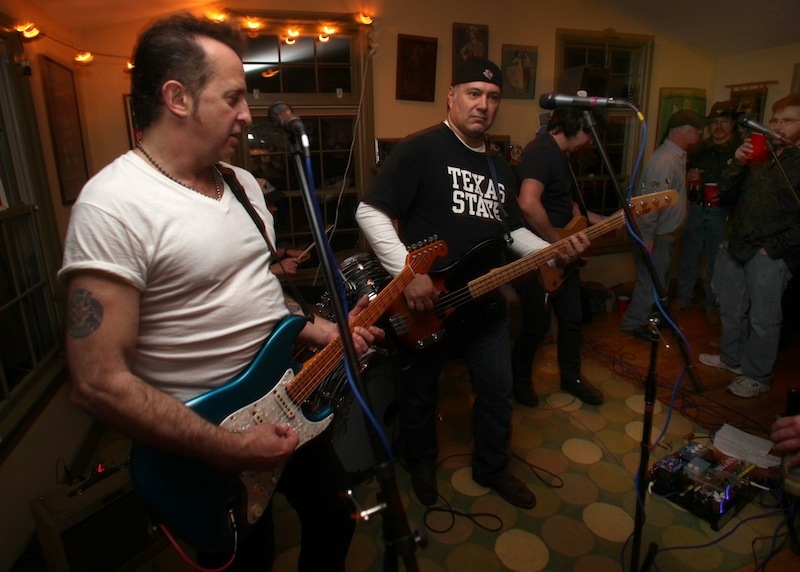 NEW YORK, N.Y. — ”We didn’t start with any agenda, other than to make a great record,” Scott Kempner says of the Del-Lords’ unexpected return to action following a two-decade layoff, which has yielded Elvis Club, the band’s first new album since 1990. The album is set for release on May 14, 2013 on GB Music through RED Distribution. Elvis Club finds the New York-bred foursome pretty much picking up where they left off, embodying the same musical swagger and true-believer passion that originally made them one of America’s most compelling rock ’n’ roll bands, while adding a new sense of experience and perspective that lends new depth to Kempner’s personally-charged songwriting and the band’s infectiously gritty urban garage-roots-rock. In their original 1982-1990 lifespan, the Del-Lords helped to restore fans’ faith in real rock ’n’ roll at a time when real rock ’n’ roll was in short supply. Over the course of four studio albums and countless sweat-soaked club sets, the band won widespread critical raves and earned the devotion of a large and loyal fan base around the world. Kempner (who’d first made his mark as “Top Ten” of ’70s punk pioneers the Dictators), Ambel (a founding member of Joan Jett’s Blackhearts) and Funaro, along with original bassist Manny Caiati, first joined forces in the early ’80s to help breathe life into downtown Manhattan’s temporarily moribund live music scene, quickly winning local renown for the uncompromising intensity of their live sets. Between 1984 and 1990, the band released four studio albums — Frontier Days,Johnny Comes Marching Home, Based on a True Story, Lovers Who Wander — which documented the evolution of Kempner’s provocative songwriting and the band’s tightly wound instrumental rapport. In the years since the Del-Lords hung up their spurs, the band’s members have trod notable individual paths. Kempner emerged as an acclaimed solo artist with a pair of acclaimed solo albums, Tenement Angels and Saving Grace, played reunion gigs with the Dictators, and collaborated extensively with first-generation rock ’n’ roll legend and fellow Bronx native Dion (who co-wrote the poignant Elvis Club track “Everyday” with Kempner). 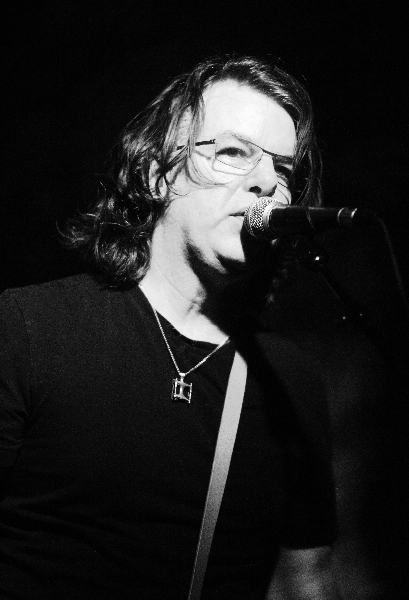 Ambel accumulated extensive credentials as a solo artist and member of the Yayhoos, as well as hired-gun guitar hero (for Steve Earle, among others), producer (for the Bottle Rockets, Nils Lofgren and countless others) and proprietor of the now-legendary East Village nightspot the Lakeside Lounge. Funaro continued to ply his percussive trade with Cracker and Camper Van Beethoven, and joined forces with Kempner and Dion in the short-lived but fondly-remembered Little Kings. Meanwhile, the Del-Lords’ reputation continued to expand in the band’s absence, retaining a place in the hearts of longtime fans while resonating with new generations of listeners. The band’s reunion came about unexpectedly, after a Spanish promoter/superfan’s offer to book a Del-Lords tour prompted the original quartet to reform for a string of live dates in Spain, as well as some low-key gigs at the Lakeside Lounge, for which the band was pseudonymously billed as “Elvis Club.” Deciding that it would be nice to have some new material to play on stage, they worked up some new tunes, which they recorded for the limited-edition tour EP Under Construction. The musical results stoked the musicians’ interest in continuing their rekindled collaboration on a longer-term basis. Although founding bassist Manny Caiati, now a family-law attorney working with at-risk children, was unable to continue his participation after the Spanish tour due to his other commitments, Kempner, Ambel and Funaro decided to forge ahead with an album of new material. The making of Elvis Club — whose title is a reference to a favorite anecdote from the band’s early days, in which a passing prostitute bestowed the eponymous sobriquet upon the then-pompadoured combo — was a substantially different experience from the band’s prior recording projects. With Ambel producing the band for the first time, and the sessions taking place at his Brooklyn studio Cowboy Technical Services, the band was able to record on its own terms and in its own time. “Working with Eric as producer really opened up the musical palette,” Kempner notes. “He was never at a loss for ideas, and he’s quickly inside the music and hears everything from all angles. He can take ideas, including my own, digest the intent, and more often than not, come up with a tweaked version of the idea that’s better than the one suggested. He also knows his way around the lunch options in the neighborhood, which is a crucial contribution, and has the best coffee of any studio I’ve ever worked in. 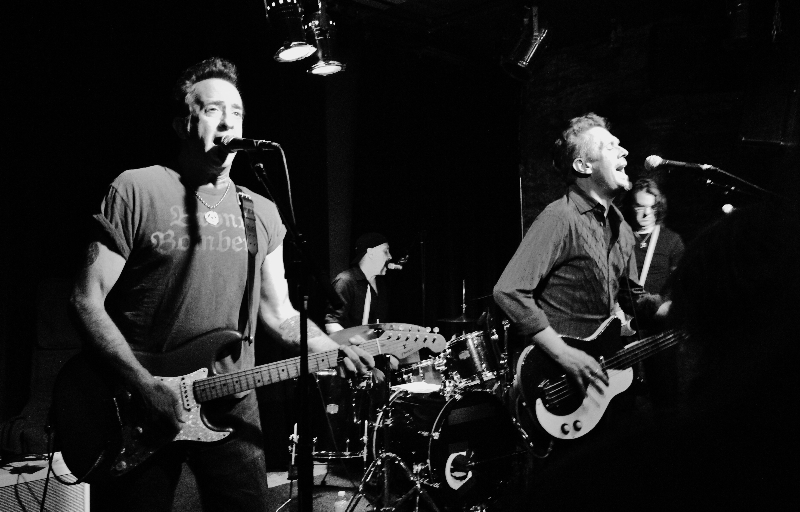 With no permanent fourth member, the band began cutting tracks for Elvis Club with some notable guest bassists, namely ex-Suicide Commandos/Beat Rodeo vet Steve Almaas, Ambel’s Yayhoos bandmate Keith Christopher, Ron Sexsmith/Ani DiFranco sideman Jason Mercer and Michael “Duke” DuClos. Now operating on their own terms and free from the music-biz politics that ruled artists’ lives back in the day, the Del-Lords — older, wiser and more determined than ever — are now back to finish what they started. “We’re just going to get out there and take it to the people, as they say,” Kempner asserts, adding, “We’re doing this now for no other reason other than that we all want to, and that alone is a huge change. Back in the ’80s, everything in our lives depended on it, and with that came a lot of pressure. 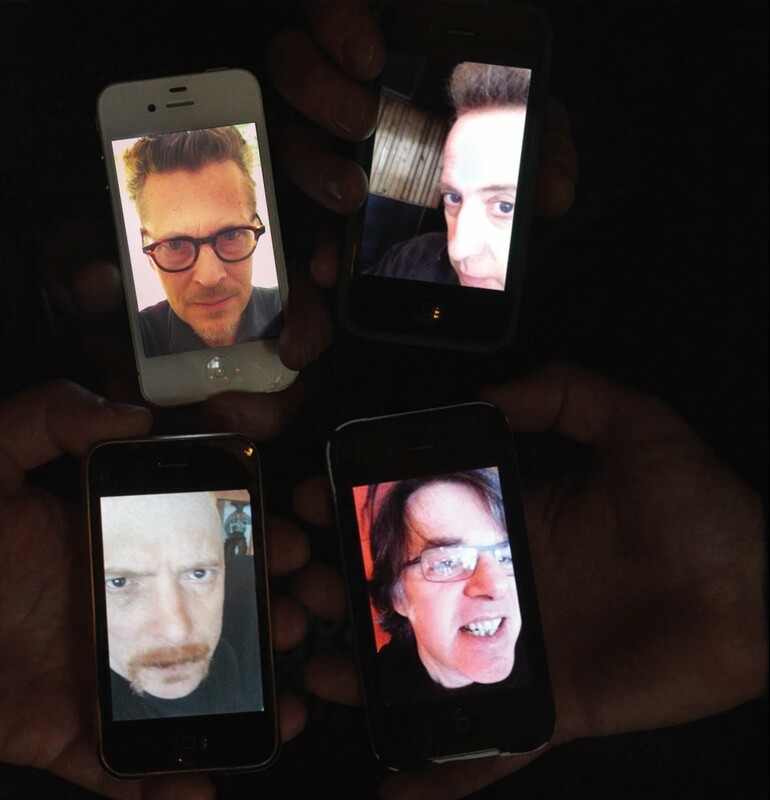 But now, we have no obligations, and we’re no longer on the hamster wheel of record/tour/record/tour etc. The future is wide open at this point. We will just keep pushing on, with no due dates and no deadlines, just making it up as we go along.